Hi Guys! 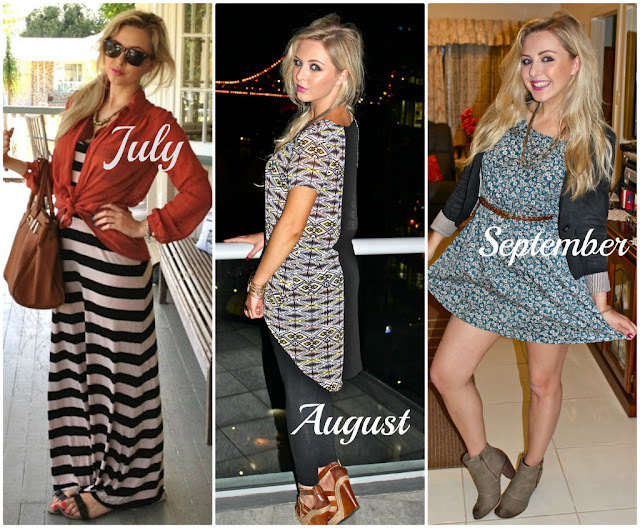 So I realise its the 8th of Jan but I wanted to do a little collage of some of the outfits I wore and featured on my blog in 2012. I really enjoy reading these kind of posts, it's really interesting to see a selection of different outfits someone has worn throughout the year and how their style or makeup has altered in the space of twelve months. I also did one of these posts last year and it seemed to get a good response so I thought, why not do another one. Of course this isn't eveeerything I wore this year (I do own other clothes!) but these are some of my favourites. I like to see how my style, hair, makeup and figure has changed within a year and seeing these photos side by side makes for a great comparison. I'm currently thinking 'woah, I was skinny in January' and 'did I ever take those sunglasses off while I was in Australia?' haha! I also love my most recent December look, which saw me opt for a midi dress on New Years Eve. It's probably one of my favourite outfits ever and I can't wait to add a few more of these styles to my wardrobe this year. Whether its midi skirts or dresses, I'm hoping the high street release some brightly coloured versions for the summer months. I've also decided I want to go back light blonde, I'm loving how bright my hair looks from Jan-March and its all about light and bright for me when summer comes around. I've embraced the darker blonde for a while but now I'm a little bored of it. Does anyone else like to brighten their hair up when the weather warms up? I don't have an awful lot more to say other than I hope you like my 2012 outfit choices and I can't wait to see what new trends 2013 has in store for us. I'm not a massive 'fashion' girl and my blog is mainly beauty but every now and again I like to throw a bit of fashion in to mix things up. I hope twelve pictures of my mug hasn't offended you and that you enjoyed this post. Do you like these kind of posts? What was your favourite trend in 2012? I think mine has to be the 'Peplum' or 'Dipped Hem'. I love the May outfit! That shirt is gorgeous! I'm the same, I always want to go light brunette but luckily, the sun give me natural highlights. I love your hair either light or slightly darker blonde. Looks lovely. And missy!! You are a skinny mini! What you taking about!! I love every outfit. I can't actually decide which one I love best. all your outfits are lovely :) i love them all! Lovely outfits! September is my fave. I'm definitely with you on going lighter for summer with my hair! Loooove the dress you wore in August! Looks so lovely and summery with those wedges too. Love these types of posts. I love your style Kayleigh, so feminine! Wow, I love all of them. You dress so pretty! You look stunning in all the photos! Please check out my post from by trip to Asia please? You look beautiful in every picture and have a great style, love them all! 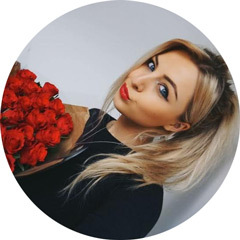 I really like your blog, it's lovely and your hair looks amazing lighter :) Have a great week! July's outfit is my favorite!! Love your style Deccember's dress is so cute!! I love May's outfit too!!!! Love these collection of outfits, especially july and december! 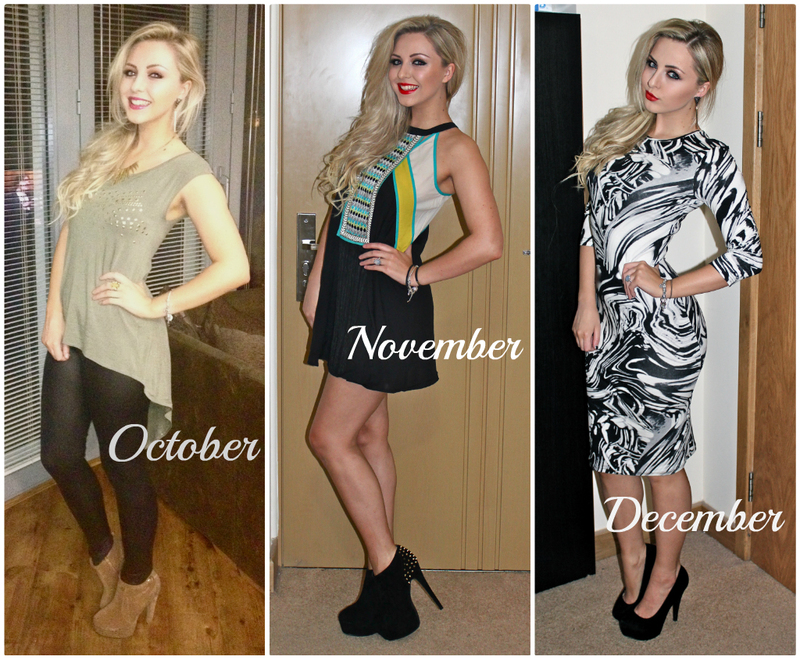 nice collage :) they are all very pretty outfits - my favs are January and November! Your look fabulous in every outfit, I love January's outfit most! Very, very lovely! I really like your style. You're gorgeous! Kayleigh, you honestly look stunning in every photo hun. I love the way you've changed up your style and all the items you're wearing are so versatile. Really like your hair up in the January pic, totally suits you. Like you, my favourite trends are the dipped hem and midi dress! Such fabulous styling darling, you have a gorgeous blog too! OH girl you look beautiful ! Im jalours off your body :( keep up the goodwork with this blog.